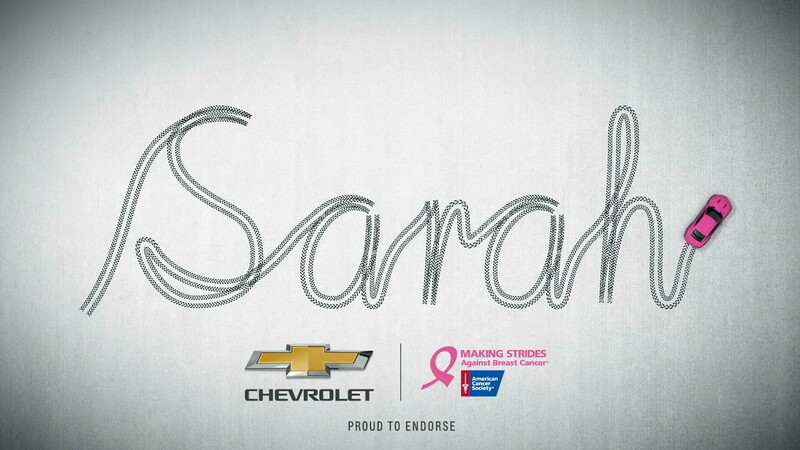 Chevrolet teamed up with the American Cancer Society for the fifth year in a row to fight breast cancer. 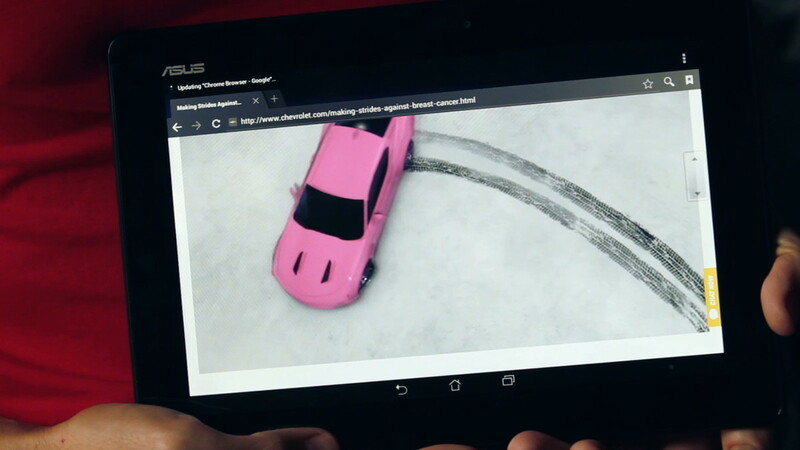 yU+co created a personal way for everyone to join the fight by developing an interface for viewers to write a loved one’s name in tire tracks by a Chevy Camaro. 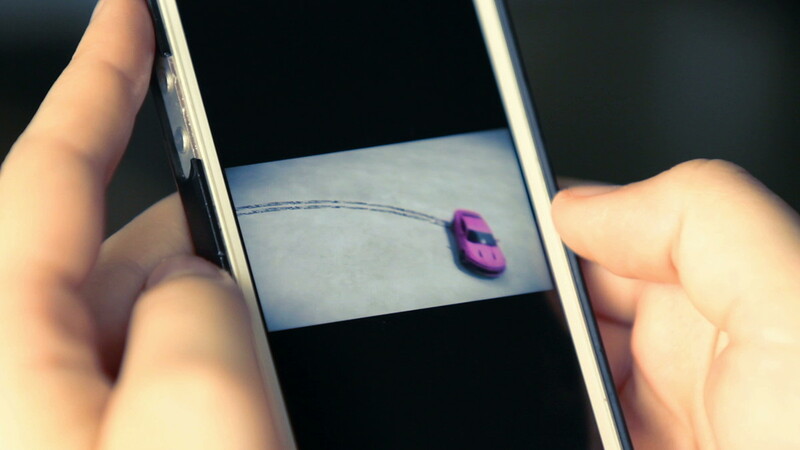 A custom tire tread font was designed, allowing any name to be spelled out in connective cursive. 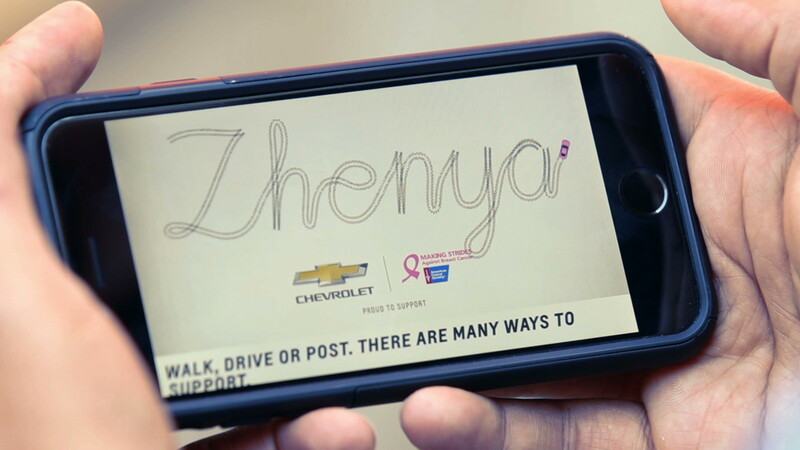 Chevrolet donated $5 to the cause for every person who shared their name dedication on social media platforms.